Two Rice Balls (Salmon), Karaage Chicken, Cherry Tomatoes, Edamame, Potato Salad, Seaweed Salad, Fruit. 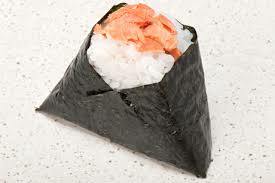 Salted Salmon Flake inside Koshihikari rice wrapped with seaweed. 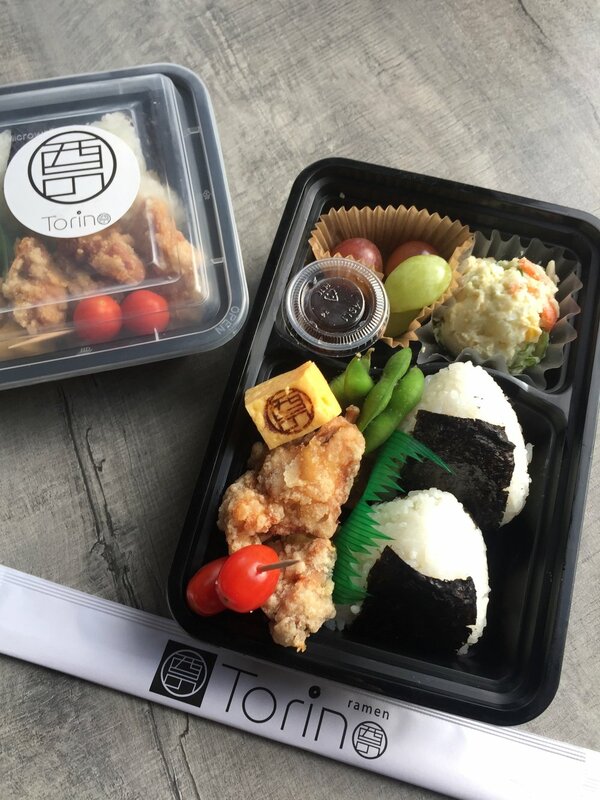 Torino Rice Ball Bento -- How many? Salmon Rice Ball -- How many? Inari Sushi -- How many?